Launched in 1998, C.I.D is a suspense and thriller drama in the crime fiction genre that is still running successfully in its second decade. 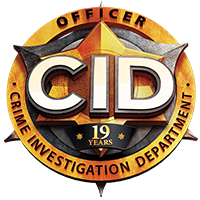 C.I.D is an investigative series consisting of criminal cases that are solved by the famous C.I.D trio ACP Pradyuman, Abhijeet and Daya, who are so passionate about their job that they don’t mind risking their own lives to find the crime suspects and wrong doers. Dramatic and absolutely unpredictable, C.I.D. keeps the viewers on the edge of their seats with its exciting plots and thrilling adventures.